Have you ever tried a hearts of palm salad? 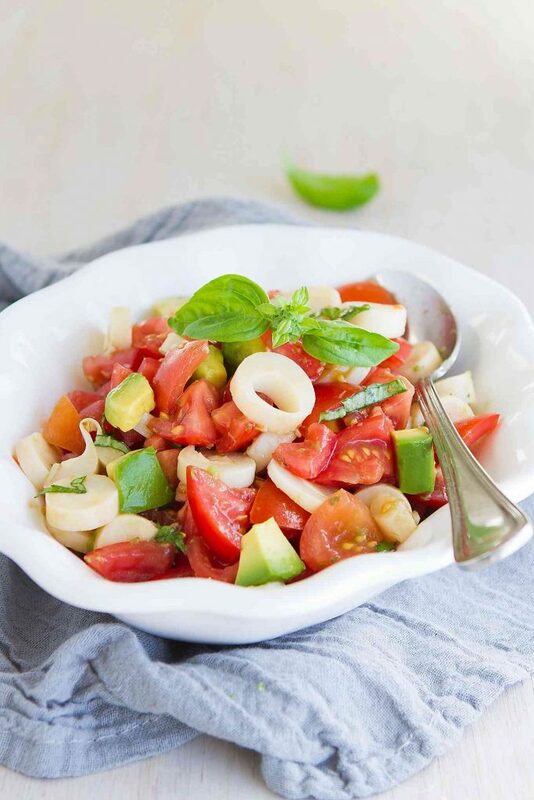 This vegan salad, with tomato, avocado and a simple vinaigrette is perfect as a summertime side dish. When it comes to summertime salads, I tend to play favorites. It’s hard to resist the voluptuous, sweet August tomatoes when they sidle up to my basket at the farmer’s market. Particularly the heirloom tomatoes – they’re notoriously tough to ignore. By the close of one loop around the market, my basket is overflowing with zucchini, green beans, cucumber, peaches, cherries and lettuce. But there’s one thing missing from the farmer’s market stalls. Hearts of palm. One of my favorite summertime salad ingredients or sandwich fillers. If you haven’t tried hearts of palm, they can sound a little exotic and dare I say…weird. But fear not, they are a mild vegetable that is extremely versatile. Hearts of palm are the core of the cabbage palm tree and are available in cans or jars in most supermarkets, tucked away beside the canned artichokes. Slice the crunchy vegetables and toss them into salads like this tomato and hearts of palm salad or mix them into a pita pocket chicken sandwich. I’ve even served them solo, drizzled with an herbaceous chimichurri sauce or a creamy buttermilk dressing. One of my favorite combinations that I discovered last summer was Chimichurri Cucumber Noodles with Shrimp & Heart of Palm. Heavenly healthy eating! 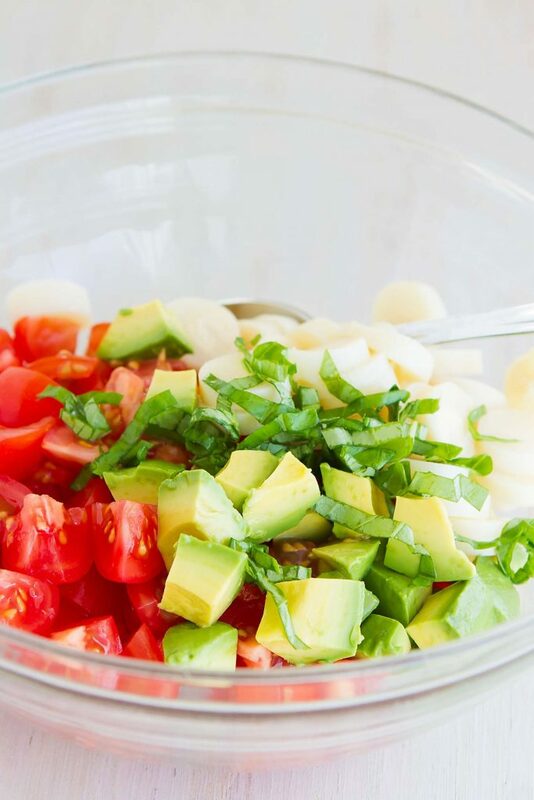 Since there are so few ingredients in this hearts of palm salad, get a hold of the sweetest tomatoes and the creamiest avocado you can find. 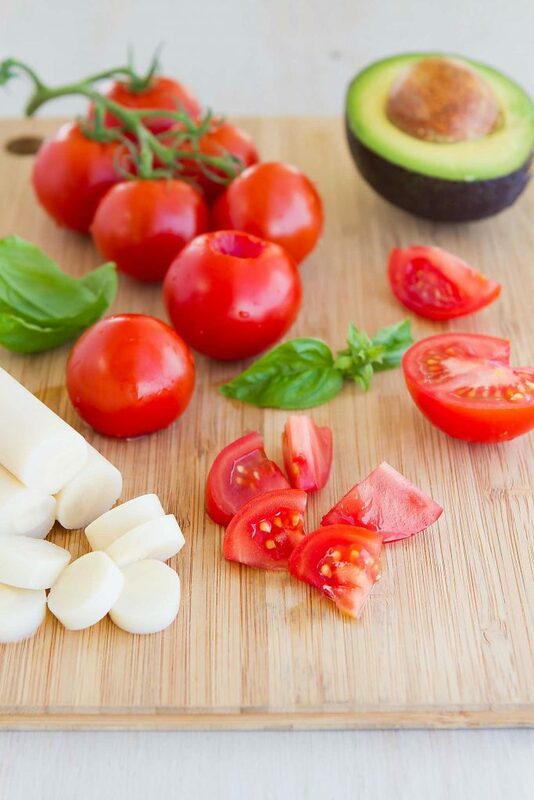 The fresh, highest quality ingredients need nothing more than a simple vinaigrette of extra virgin olive oil, balsamic vinegar and a sprinkle of salt to make them shine. This salad comes together in about 10 minutes, and I recommend holding off on making it until the last minute so the salad doesn’t become too juicy from the tomatoes. 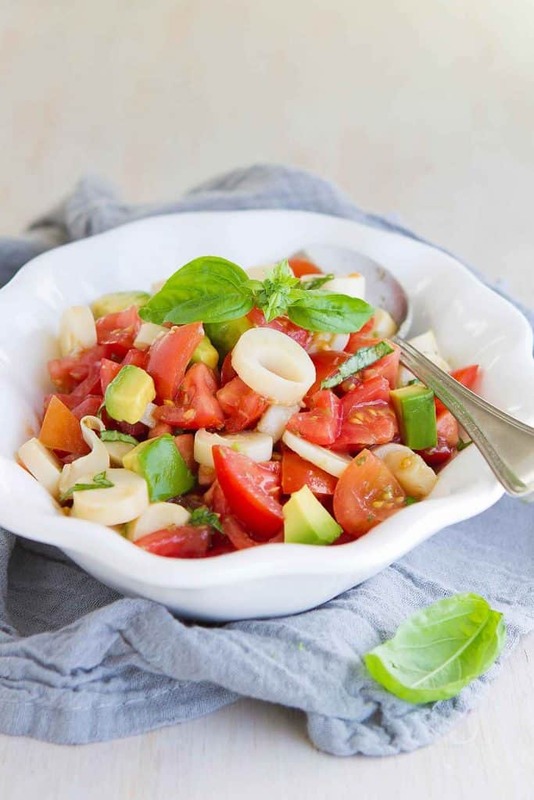 In a medium bowl, stir together the tomatoes, hearts of palm, avocado and basil. In a small bowl, whisk together the olive oil, balsamic vinegar, oregano and salt. Stir the dressing into the salad. Serve immediately. We made this last night to serve with grilled chicken and really liked it. I admit that this was my first time eating hearts of palm, so I was a little nervous. Loved the flavor! Cucumber would be great in this, too.